The Delhi government today informed the National Green Tribunal (NGT) that it will bring odd-even road scheme in Delhi with no exemptions. This came right after it rapped the Delhi government on Monday for failing to submit an action plan to check air pollution in the capital city and amid a controversy over Lankan cricketers vomiting due to pollution. According to the Central Pollution Control Board, the Air Quality Index of Delhi was 378, which is still in the hazardous category. Last month, the Delhi government had withdrawn its decision to bring back the odd-even scheme from an interim period (November 13-17) when the NGT had told them that there would be no exemptions given to two-wheelers and women drivers. The Delhi government had rolled back its decision sighting safety for women. The Supreme Court of India mandated Environment Pollution Control Authority (EPCA) in its letter to the Transport Minister of Delhi, Kailash Gahlot had earlier said that under the Graded Response Action Plan (GRAP), no exemptions should be given during odd-even. Exemptions to two wheelers would defeat the purpose as they are the major source of vehicular in Delhi, it added. EPCA had also asked them to augment the number of buses. Improving bus services in the capital is essential for the success of the odd-even scheme. However, Delhi has only 272 buses for one million people. On March 4, 2017, Delhi Chief Minister Arvind Kejriwal said that his government would focus on improving the city’s public transport system before enforcing any restrictive measures such as the odd-even plan. During the 2015 Assembly elections, the government promised to add at least 5,000 new buses by 2020. 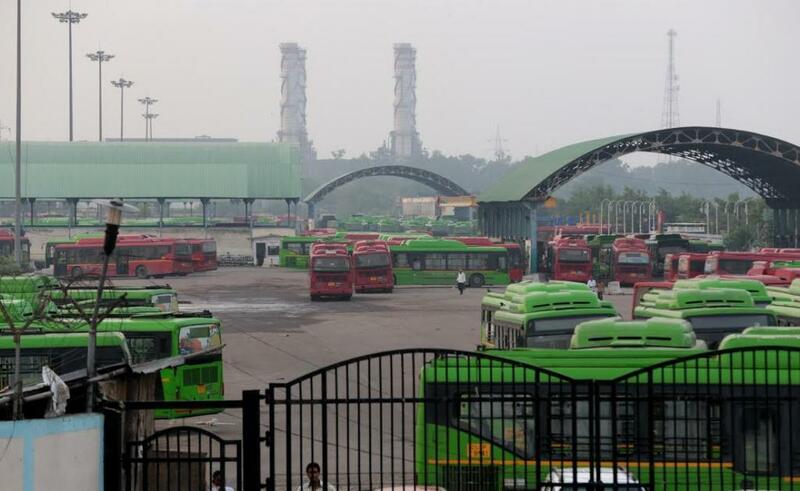 However, according to the latest review by Union Road Transport and Highways Ministry, there has been an 8 per cent reduction in Delhi Transport Corporation’s (DTC) average bus fleet. The DTC had 4,977 buses in 2014-15. It reduced to 4,564 buses—or 413 fewer—in 2015-16. Not only that, even the average operational fleet of DTC buses reduced from 4,180 in 2014-15 to 3,817 in 2015-16. Moreover, there has been a 30 per cent dip in the registry of buses: from 1,254 buses in 2013-14 to 877 buses in 2016-17. With just 272 buses per million people, how can odd-even rule in Delhi be successful?